InterNations Leuven MARCH EVENT - Know thy Neighbours! 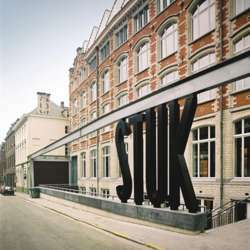 It is my pleasure to invite you again to our next March gathering at STUK Café in Leuven. Know thy Neighbours! Come find who's who in Leuven and around. Make contacts and friends. We will as usual welcome any newcomers and exchange our stories with our old members. Don't hesitate to ask let me know if you cannot make it and don't forget to sign in and you are all welcome ! !